Over the last year or so, I have been reading a number of articles about Content Services, a term allegedly coined by analysts Gartner (although I have my doubts as to its true provenance). A few weeks ago, I discussed Magan Arthur’s article about Business Object Management where it was also referenced. On a linguistic point, I would argue that these aren’t Content Services, but are more accurately described as ‘Digital Asset Services’ since ‘content’ is merely one form of digital assets (and I also hold the view that content is fudge word concocted by lawyers to avoid them having to say ‘stuff’ in legal documents). I have precisely defined digital assets (which no one has yet done for ‘content’) and I have the full weight of the English language on my side in this debate, while then term ‘content’ is semantically ghettoised in a context which is almost exclusively media-related. With that said, in this article, I will tolerate the inaccurate description for the benefit of those readers who are still coming to terms with their inability to understand why they are wrong. On the services themselves (however you want to refer to them) this concept is certainly not a novel one. 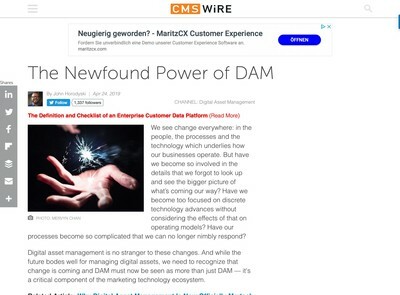 I have been saying that this is the way DAM (and by proxy, ECM etc) are going to be headed for about a decade, further, I have been writing it for over five years on DAM News and CMSWire. To be clear, this isn’t a boast about any great visionary insight I personally might have, I speak to the senior management of lots of vendors (especially those with hands-on engineering experience) and many of them have thought the same as myself for a roughly similar length of time. 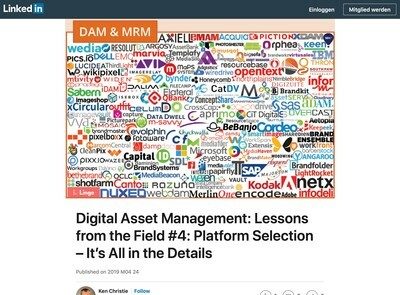 A good number of the digital asset manager end-users I liaise with who use DAM solutions on a daily basis share this view also. If you sit most people with some experience of using or building DAM systems down for an hour or two and ask them how they should work (in an ideal world) something like a service-based approach is generally the outcome, even if the terminology they use may differ. There are strong engineering, commercial and historical precedents that point towards this delivery model being the one that is more likely to become dominant than previous monolithic ones (or ‘consolidated’ to use a slightly less pejorative description). On the engineering side, most people, even those with a limited knowledge of the subject, will grasp that modular products where each component can be isolated and/or integrated are likely to be more flexible and adaptable than those where you can’t change the moving parts very easily. Those benefits yield commercial advantages in the form of cost savings as well as improved customer satisfaction. The historical precedent is widely understood: those that can industrialise production (aka ‘implementation’ in software terms) can gain scalability advantages over their competitors and eventually see them off. Content Services is a template that has already been widely established since the industrial revolution – and the first one, in-play since the late 18th century (not the fourth edition nor any other fictionalised ‘upgrade’ which you may hear mentioned elsewhere). 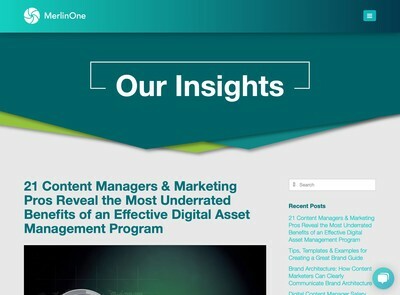 There is some strong evidence that Digital Asset Services are gaining traction in DAM. Quite a few of the DAM systems I have examined recently have microservices architectures. Several vendors, including a few participating in our Digital Asset Supply Chain Consortium are now also offering their services independently of their products and we have a section in our forthcoming pricing survey (which is being beta tested now) where we ask about this, albeit in very general terms. There is still widespread mistrust about using the services of what are perceived to be competitors, but the market may ultimately force a re-evaluation of that view (as has happened in non-technology sectors that have gone through the same evolutionary process). At this point we segue from straightforward commercial and engineering logic into the politics of analyst branding (and all the existential issues for this sector which that description implies). As has been discussed elsewhere, Gartner were late to acknowledge ECM and that might contribute to why they want rid of the term now, rather than because they genuinely believe Content Services are more strategically sound than what went before. The elephant in the room when it comes to Content Services is there are no interoperability protocols between them. Essentially, this means that a huge part of the potential value which end users could accrue from them is not accessible. To an extent, service-oriented concepts do help vendors build more scalable and robust solutions, so there are benefits in this respect, but without any interoperability and competitive pressure to allow one under-performing service to get replaced with another, the eventual outcome might end up being the same monolithic, unfit for purpose and expensive black hole that characterises too many corporate ECMs. 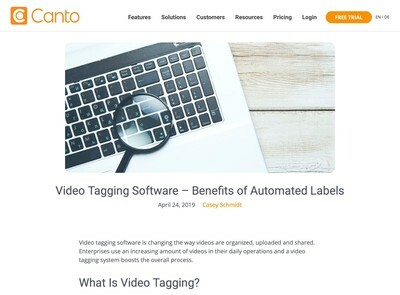 This is contributory to why the Gartner proposal might be more about their branding and gaining control of the narrative than it is about delivering software that can generate a positive ROI for end-users. To use a metaphor, being able to change the tyres on your car without having to take the whole thing into a garage to be repaired is great, but if you have to use only the ones both supplied and approved by the manufacturer then you might be less impressed. This is the reality of where we’re at right now with Content Services. Overall, while I welcome the recognition that service-oriented application delivery and a tacit (if not explicit) acknowledgement of digital asset supply chains by a wider cross section of the market, there still needs to be a radical reform of the method by which enterprise applications such as DAM get delivered – and functional interoperability standards are fundamental to that. I believe that will eventually occur, however and when it does, a large section of the DAM industry who have not seen it coming will get wiped out as a result. If your interest in Content and/or Digital Asset Services is more practical and implementation-focussed in nature than selling industry reports and persuading vendors to cough up funds to get to appear in quadrants, waves or other abstract geometric constructs than you may wish to check out our Digital Asset Supply Chain Consortium and the discussion group we have started recently to consider these topics. We are currently looking for vendors to participate in building a prototype digital asset supply chain using services that are based on mandatory interoperability standards. No development expertise is required, just a DAM with an API that you can make available to us. Best of all, it’s completely free to both join and participate. Previous post: China – A Major Untapped Opportunity For DAM?